So... I'm back... again. Please forgive me for my prolonged absence! I've had a massively hectic - but wonderfully fun week - which included me acquiring a vast amount of photos from London Fashion Week, which I can't wait to share with you all. Before that though, I'd like to introduce you to my newest Dahlia piece - this beautiful blouse with delicate contrasting lace shoulders/décolletage. I find it to be a perfect combination of simple and striking - meaning it's still 'enough' for me to wear it alone, but also goes wonderfully with several of my more statement jewellery pieces (which you know I love!). 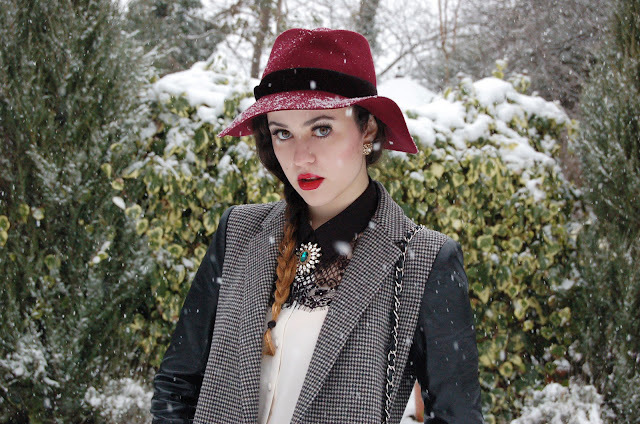 Coat : ZARA. Shirt : c/o Dahlia. Necklace : Accessorize. Trousers & Shoes : Topshop. 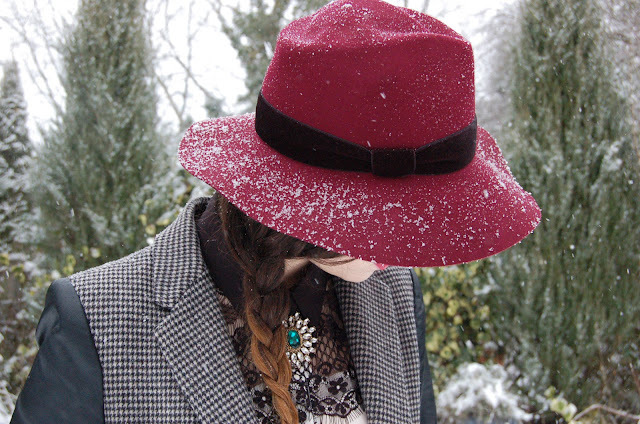 Hat : Reiss. Earrings : River Island. I love the lace on the shirt! 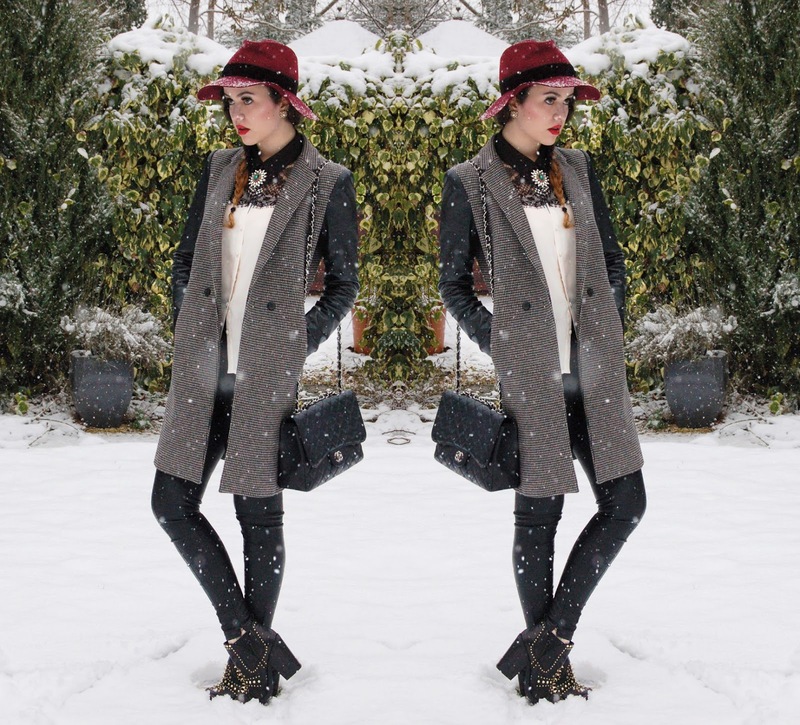 this has to be one of my favourite outfits i've seen on your blog! 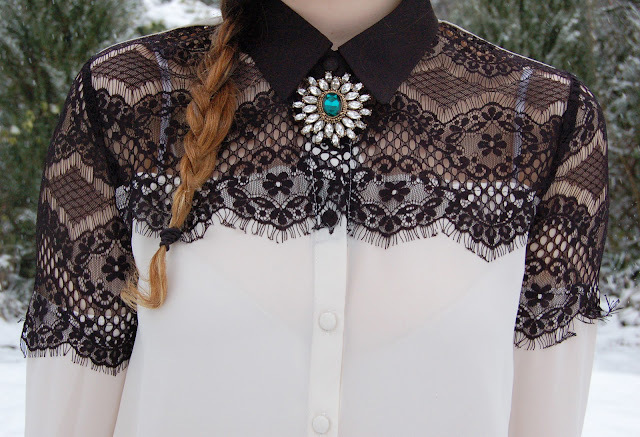 That blouse is gorgeous! Cannot wait to see your LFW photos. 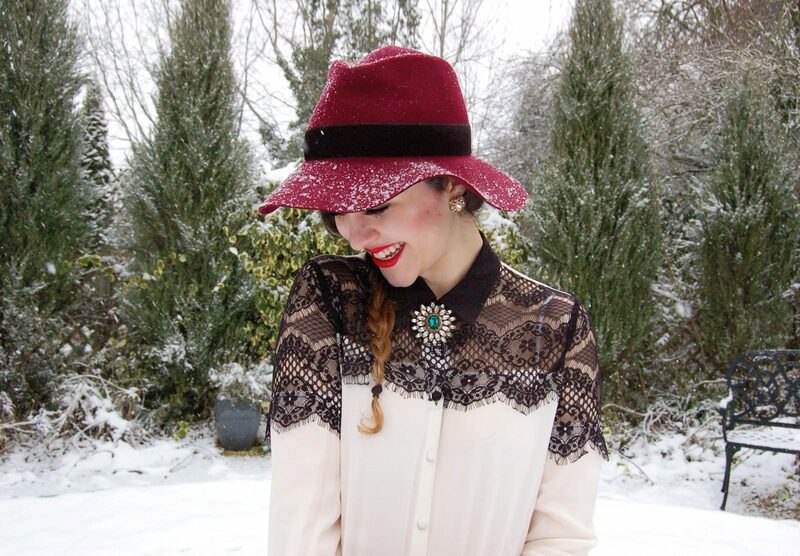 I have a very similar hat and I love the way you've styled it! Infact I love everything! Especially your shirt and coat. Such a pretty combination. Lovely photos, as always! ps. last weekend to check out my giveaway here! 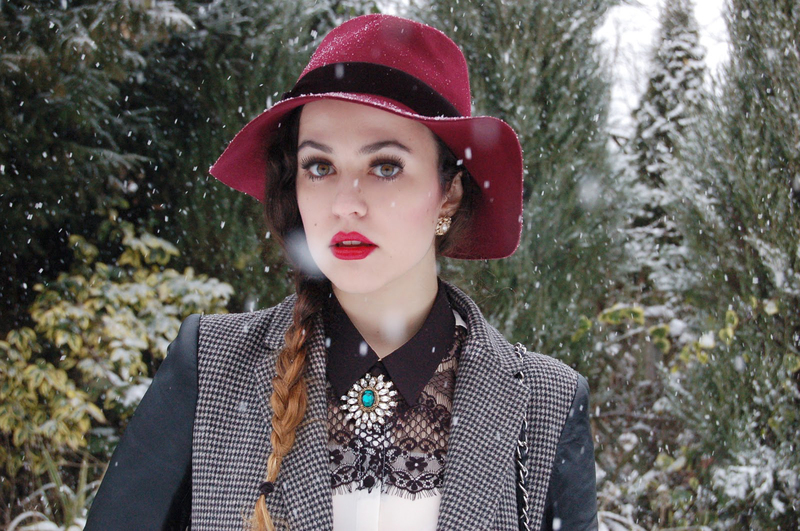 beautiful as always, loving the snow in your photographs.. and cant wait to see you LFW snaps! Amazing photographs, like they always are - you look lovely. That coat and blouse combo is wonderful! Such beautiful photos, I love the lace detail! You look super amazing in this outfit! love the snow a lot too! and those studded boots totally rock!! i love the touch of red to your outfit!! 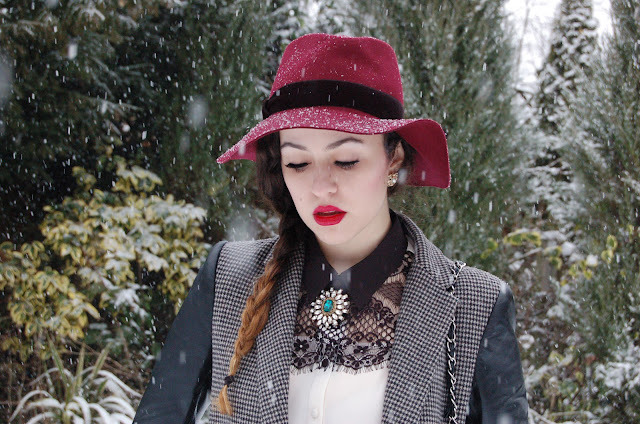 Such a lovely look! I love all the textures you've got going on. And that brooch is gorgeous! Ok, you're my new style crush.